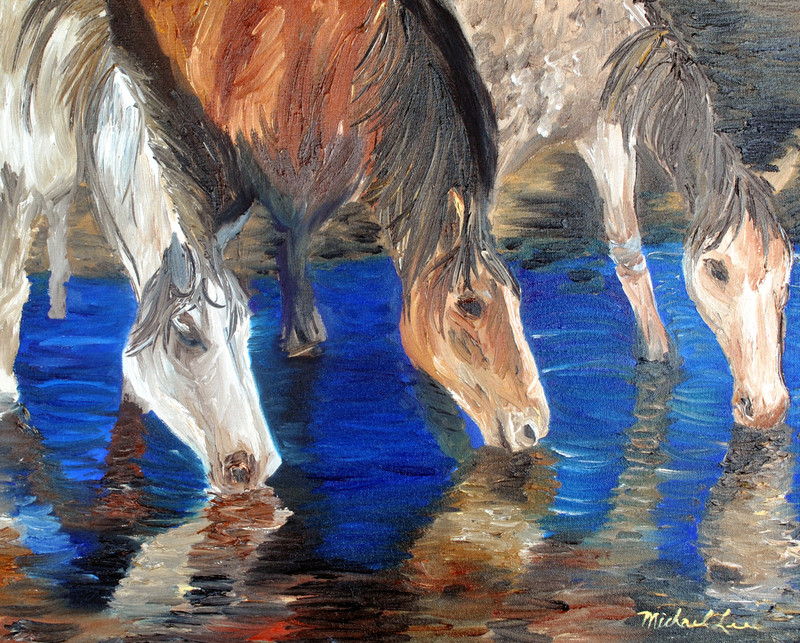 This painting is of wild horses at the watering hole. Wild horses are my favorite subject to paint. You can see strong colors and thick brush strokes in this painting. 5" x 6.25"7" x 8.75"9" x 11.25"11" x 13.75"13" x 16.125"13.375" x 16.625"